We love using every opportunity we get to exchange knowledge and get to help you with digitalization, managing and optimizing complex critical IT systems, integrations between different platforms and, of course, innovative new projects. 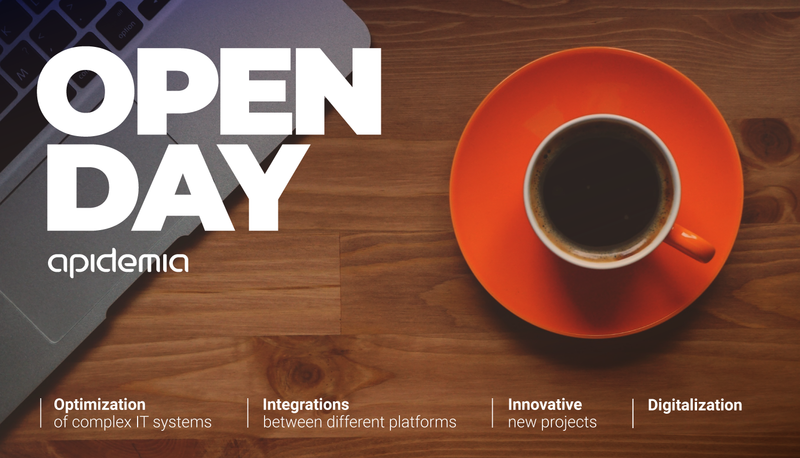 On Thursday, the 1st of February, we invite everybody interested in an open discussion about technical solutions to specific business problems, new projects and all in between. Write Mara at mara@apidemia.dk and let's meet in our Aarhus office.